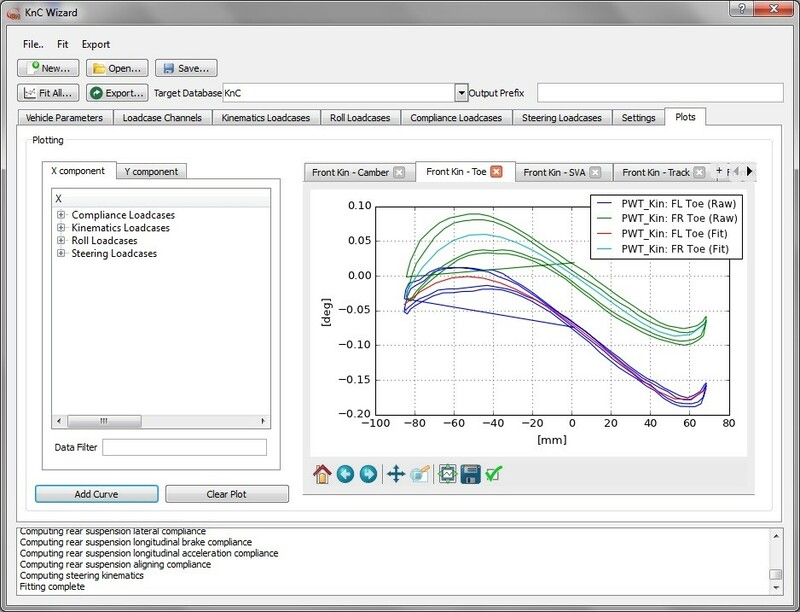 Do you have access to kinematics and compliance test rig results? Would you be interested in performing accurate full vehicle simulation for a measured suspension data set, eventually including a driving simulator experience? If the answer to both question is “yes”, you may be needing the K&C interface for VI-CarRealTime. VI-CarRealTime is a real-time vehicle simulation environment featuring a detailed parametric description of the main vehicle subsystem and components, including support for conventional, hybrid and electric drivelines, tires and aerodynamics, which is capable of supporting vehicle dynamics and controls engineers in the optimization of vehicle and control system performance. By using the VI-CarRealTime K&C interface, it is possible to use the experimental data produced by a kinematics and compliance test rig to create a fully functional vehicle model in a very efficient and fast way. 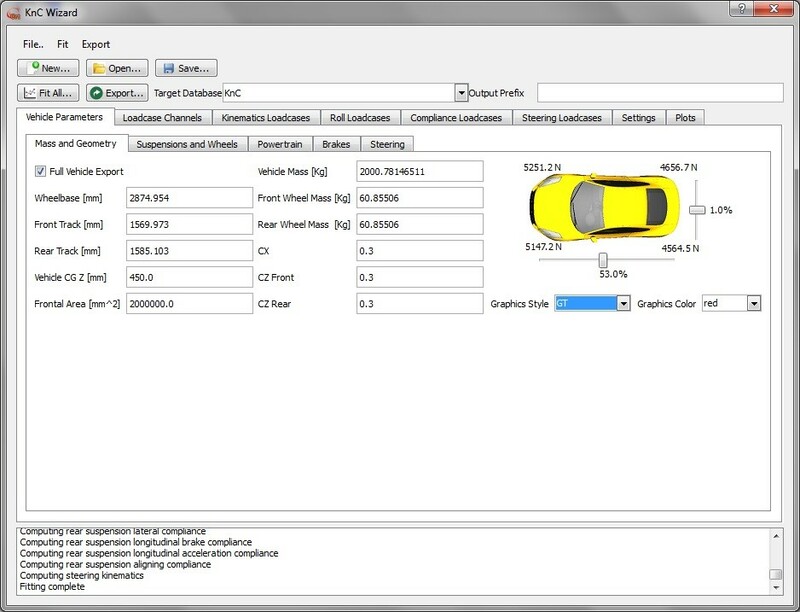 Typical suspension measurements such as the ones resulting from symmetric and asymmetric wheel travel, steering sweeps and compliance loadcases, can be easily fitted into the VI-CarRealTime model description. In few steps, you will be moving from a raw suspension measurements data set into a fully functional vehicle model, suitable for dynamic simulation, controls integration, driving simulator application.